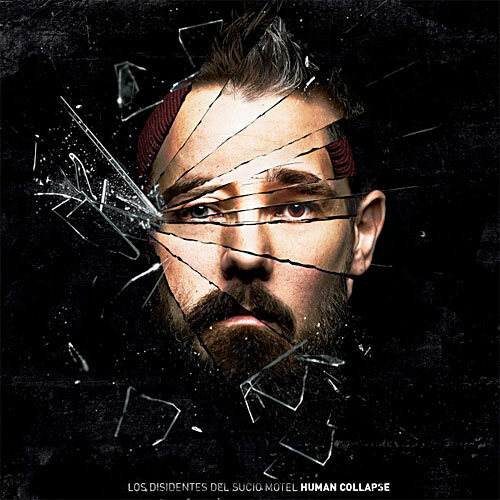 After their 2013 horror-movie inspired “Arcane” gave the creeps to the masses, French heavy rock five-piece LOS DISIDENTES DEL SUCIO MOTEL are back with their third album “Human Collapse”, a humanist post-apocalyptic manifesto coming out this September on Ripple Music. LDDSM enlighten us on the story behind this new album: “Human Collapse” is a concept album based on the anticipation of a social phenomenon: the end of the world caused by the only human action. Throughout these ten tracks, we follow an ordinary man, an immigrant dreaming of a better life like millions of others. As one of the first victims of this economic downfall, he decides to return to his homeland. His sister is the only family he has left, living there with her husband and kids, so he decides to leave everything behind in order to find them and start a new life. During this journey, he will be confronted with the complex and sometimes mad aspects of human nature, but he may also glimpse a ray of hope… “Human Collapse” will make you travel in your mind and give a new perspective on how experiencing chaos can make you give up on your beliefs, principles and education. Become another to survive. “Departure” elates the first step of this man’s journey, his state of mind and what made him take the plunge and decide to never come back.” “Human Collapse” is LOS DISIDENTES DEL SUCIO MOTEL’s third full-length. It was recorded at Cube Studio in Besançon, mixed by Kurt Ballou at Godcity Studio and mastered by Alan Douches. The album artwork is a combination of portraits of the five band members taken and edited by Bartosch Salmanski. Human Collapse will be officially released on 9th of September through Ripple Music.